In April, the Bostonian Society, who originally hired me to write and produce Blood on the Snow in 2016 and 2017, commissioned me to write a 20-minute play about unheard voices from American history. 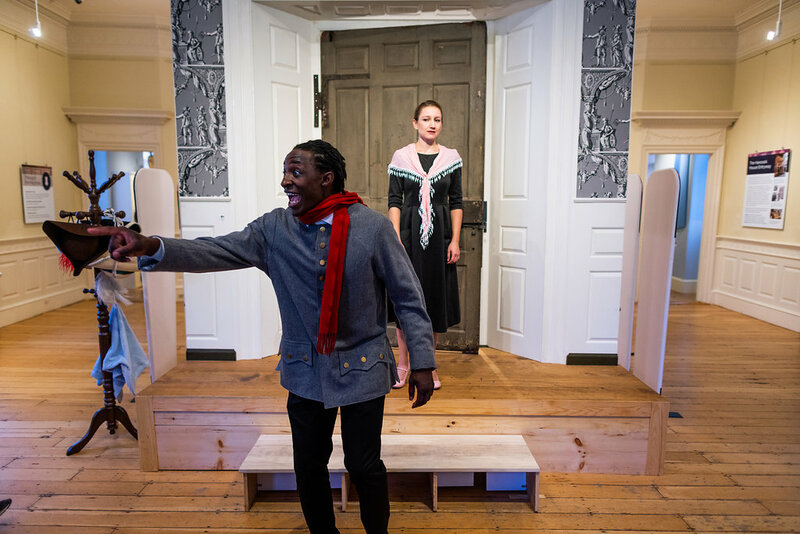 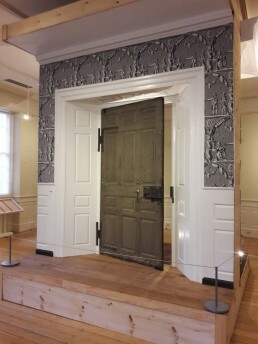 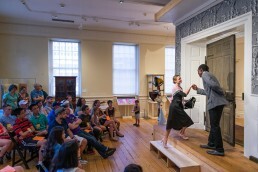 Not exactly a site-specific play, this time the script would be rooted around the original 270-year-old door from the Hancock Mansion on Beacon Hill. 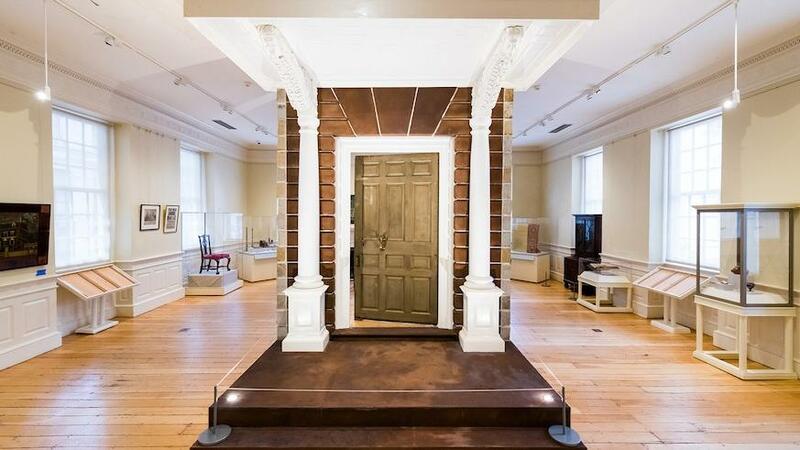 The mansion itself was dismantled and auctioned off in 1863, and the door had been in storage ever since. 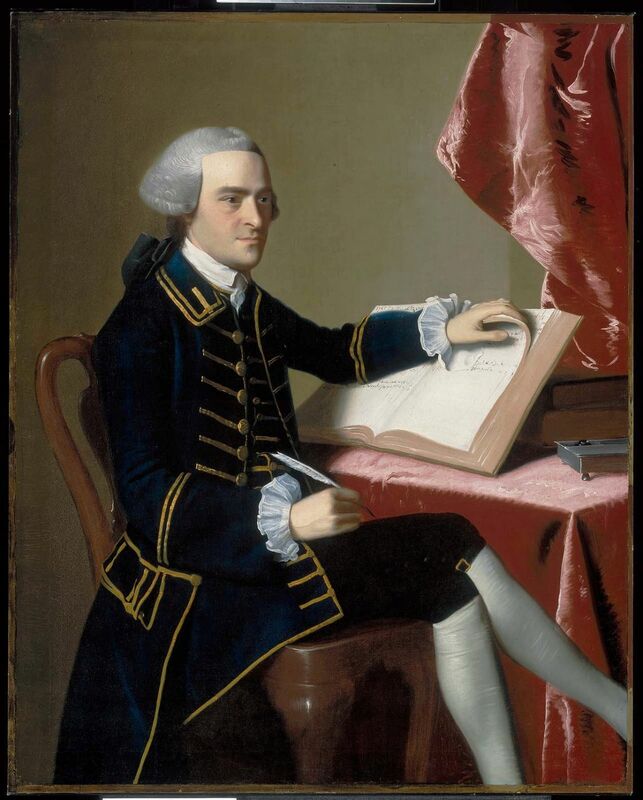 Rather than just write play about Old White Men Founding Fathers, my task was to explore other voices and perspectives from that time period and related to the Hancock household and the door. 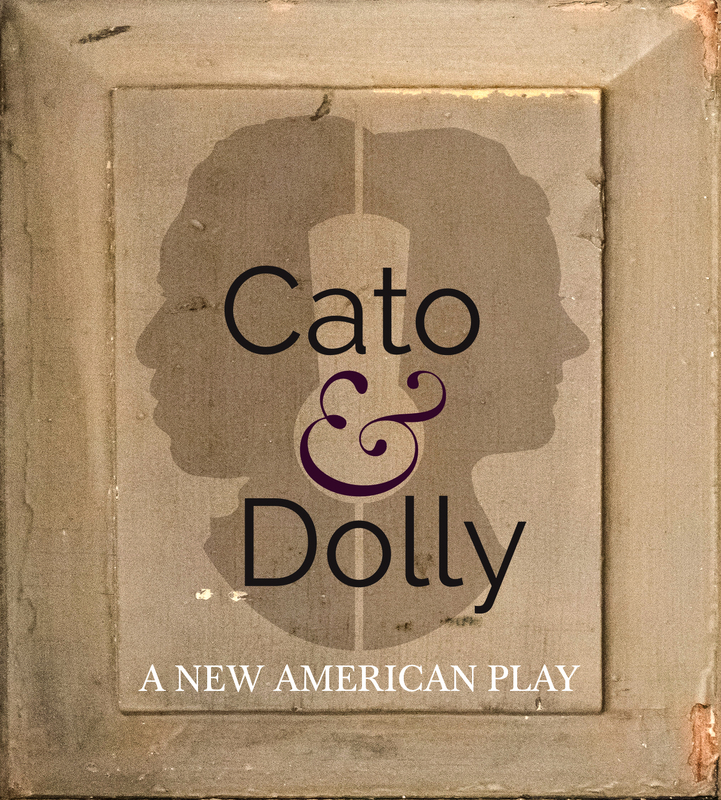 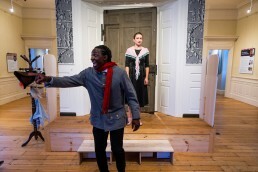 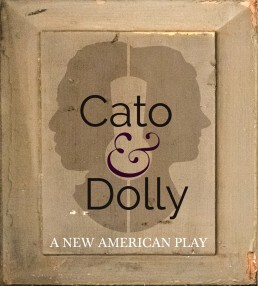 The resulting play, Cato & Dolly, is a 20-minute one-act play that features Cato Hancock, an enslaved man and servant, and Dolly Hancock, John Hancock’s wife. 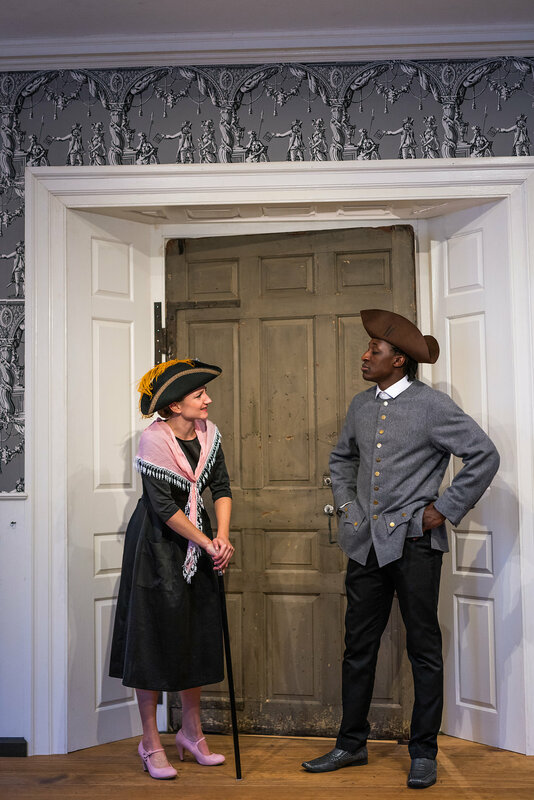 Two actors play a variety of roles, as we touch on slavery and freedom, the impact of the war on the family, loss of children, marriages, and we get some laughs, too. 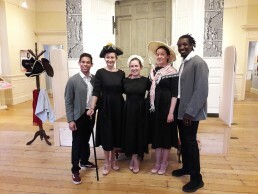 My new company, Plays in Place, is producing the show in partnership with the Bostonian Society. 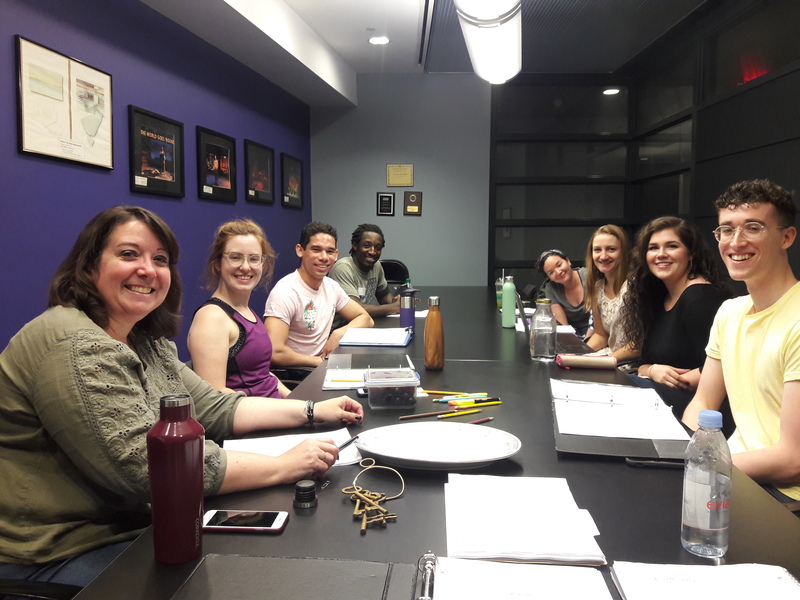 Courtney O’Connor, who directed Blood on the Snow is directing Cato & Dolly, we have a fabulous cast of Margaret Clark, Marge Dunn, Becca Lewis, Stephen Sampson, and Felton Sparks (they rotate into the role, as the schedule requires). 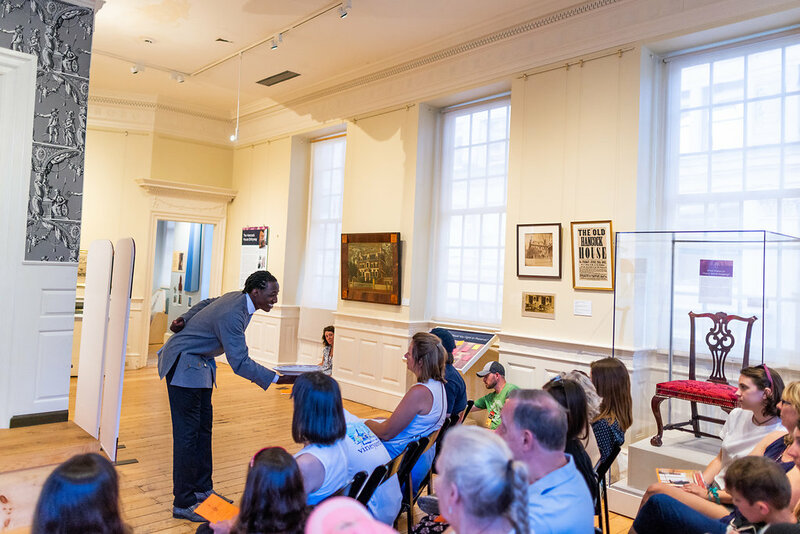 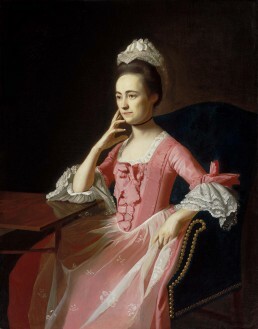 The show opens July 6, 7, and 8, and then will run every Monday, Wednesday, and Sunday at the Old State House Museum at 11 am, 12:30 pm, and 2 pm, through September 29. 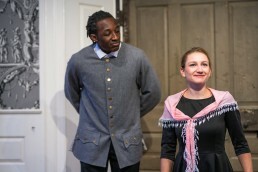 Tickets for the play are included with the price of admission (though seating is limited).